The psychedelic space is planning to open by early summer. The painted bus that inspired the name, Electric Kool-Aid. Photograph by Lisa Bolden. This isn’t Ms. Frizzle’s Magic School Bus. 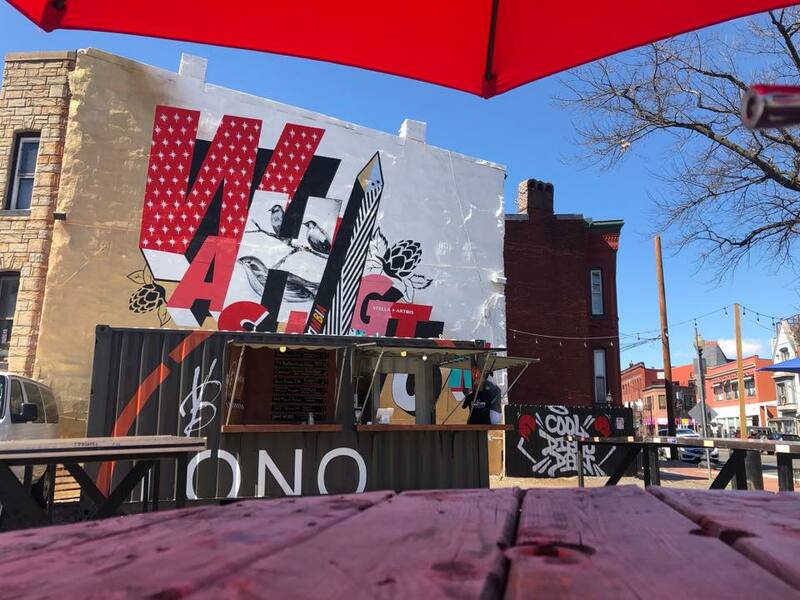 The vibrantly graffitied bus and surrounding lot in Shaw will soon be home to Electric Cool-Aid, a beer garden with frozen drinks slated to open by early summer. Those familiar with the corner will remember it as home to Mr. P’s Ribs and Fish, the barbecue bus famous for its smoky ribs, manned by neighborhood fixture Fate Pittman. The converted 1995 school bus (complete with deep-fryers) was left on the property after Pittman passed away in 2015. 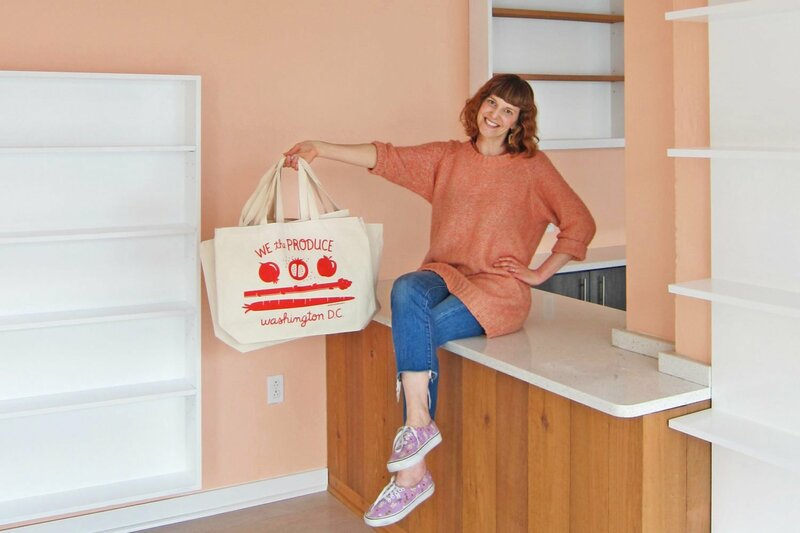 After walking past the abandoned space many times, a trio of service industry veterans—brothers Ben and Jesse Schwartz and Angela DelBrocco—decided to bring the bus out of retirement. DelBrocco has manned bars at local watering holes like Nellie’s Sports Bar, and Ben is a bartender at nearby Ivy and Coney. As the beer garden’s operations manager, Jesse is bringing his experience opening high volume bars in New Jersey. 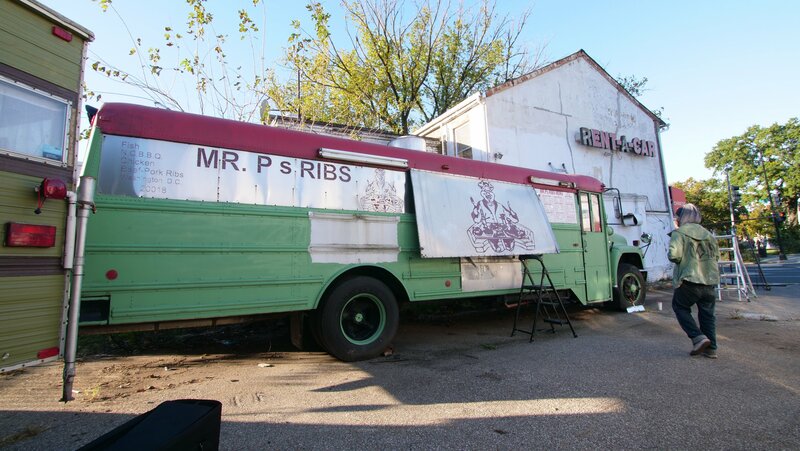 The original Mr. P’s van remained in the abandoned parking lot. Photograph by Lisa Bolden. The name Electric Cool-Aid is unrelated to the massive Kool-Aid Man bellowing an emphatic “OH YEAAAAH.” In fact, the origins are far trippier: the owners were inspired by novelist Ken Kesey and his cohorts, the “Merry Pranksters,” who traveled in a painted, psychedelic bus during the summer of 1964. The counterculture caravan was immortalized in the book The Electric Kool-Aid Acid Test. 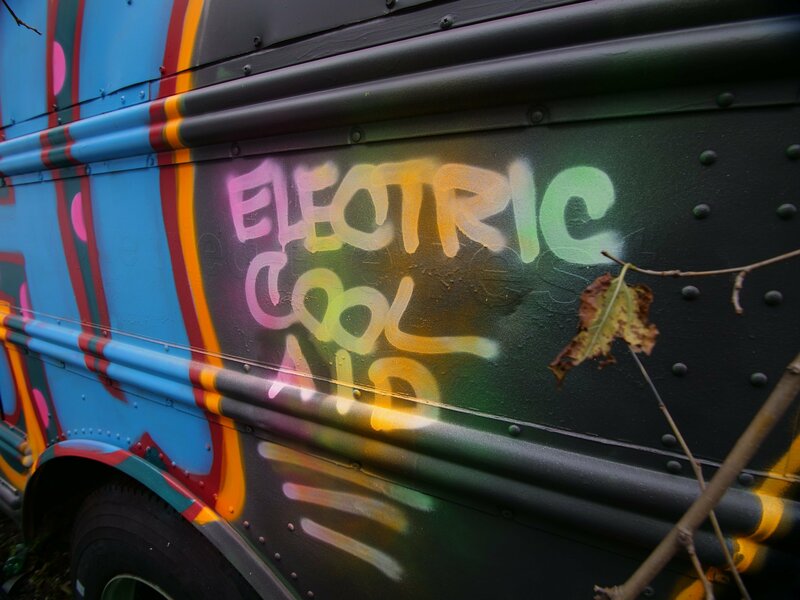 The name Electric Cool-Aid was inspired by the Merry Pranksters and their colorful bus. Photograph by Lisa Bolden. Paying homage to the anti-establishment spirit, the owners decided to deck out the property’s school bus, which will remain stationary. 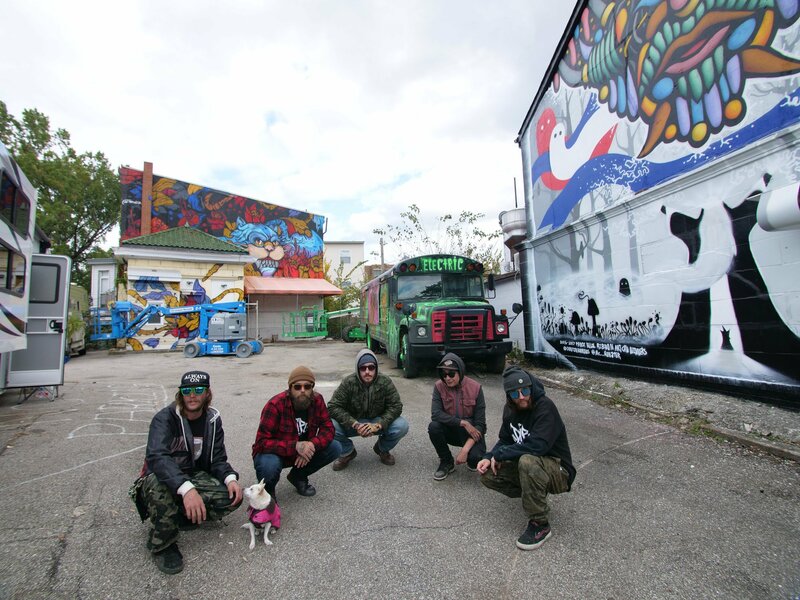 They enlisted Dripped on the Road, a Merry Pranksters-esque collective of street artists who traverse the country in RVs with spray cans in hand. 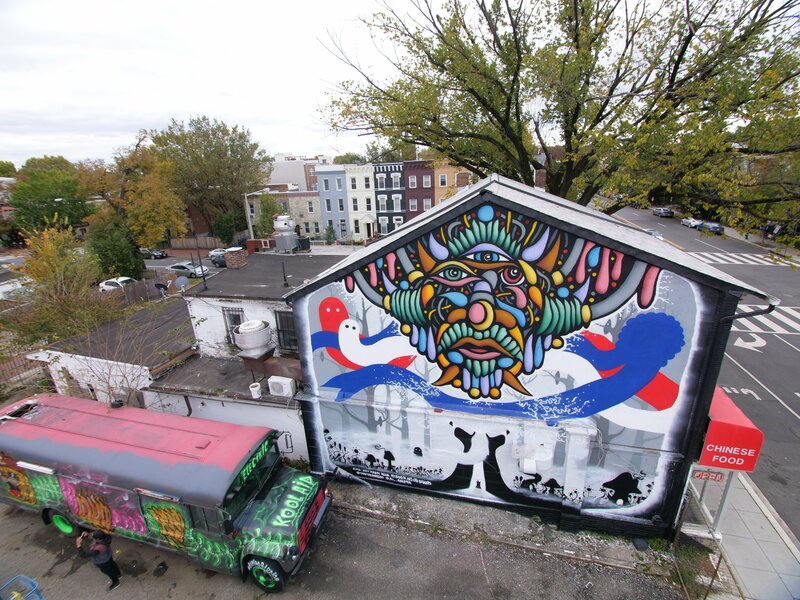 Brooklyn street artists Ramiro Davaro-Comas and Jonathan Neville painted the bus while collective artists Trasher, McMonster, and Denton Burrows designed the surrounding murals. 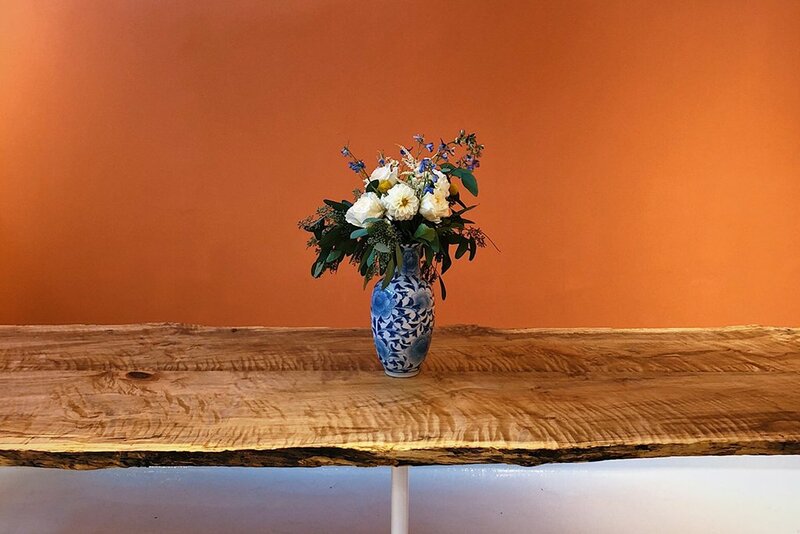 The result is reminiscent of the kaleidoscope street art that decorates Freetown Christiania, the Copenhagen community known for its liberated lifestyle. Dripped on The Road artists pose in front of their work. Photograph by Lisa Bolden. While the city’s permitting process will dictate whether drinks can be served directly out of the bus, it will still remain the north star within a constellation of picnic tables that form the beer garden. Offerings will include around six varieties of adult frozen cocktails. 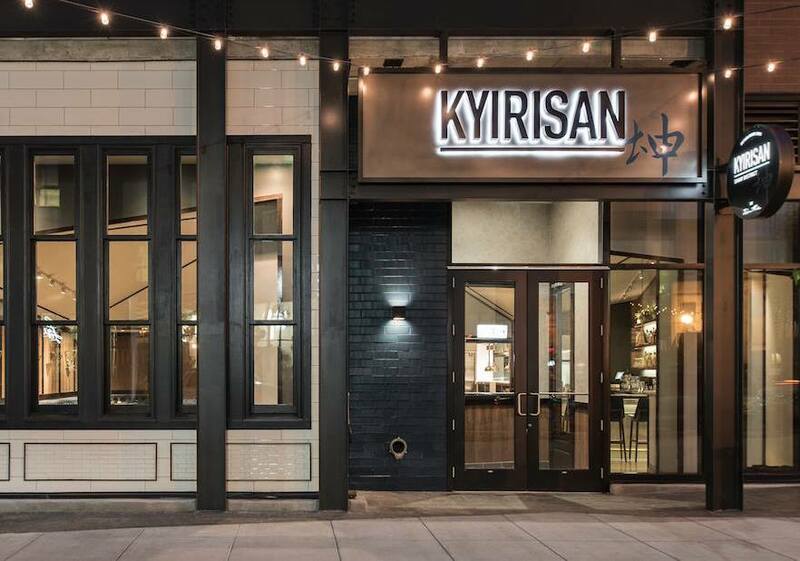 The owners plan to test out their drinks at other local venues leading up to the bar’s unveiling. Wine and canned beer round out the casual, backyard party atmosphere. In the winter months, cold concoctions will be swapped out for belly-warming beverages. Street art is celebrated at the Shaw beer garden. Photograph by Lisa Bolden. When the owners say they want Electric Cool-Aid to be a part of the neighborhood, they say it as neighbors themselves. The owners have lived in close proximity to the property and remember Mr. P’s pork ribs. Electric Cool-Aid. 512 Rhode Island Ave., NW. The Electric Cool-Aid logo. Image courtesy of Ben Schwartz.